For more information or to customize your experiential session or workshop, feel free to email us using the Contact Form below, or call us. We never sell or lend your personal information. It only stays between us. We promise. If you would like us to contact you by phone (optional). Tell us which experience you would like to schedule, or just leave us a comment or question here. Paying for workshops, classes or sessions? 1) REGISTRATION: Fill out the specific Registration Form on the Registration or Offerings pages. In the "Any additional info" area, indicate any special needs, requests or questions. Click the green SUBMIT button to send it in. a) Card: If paying in full by credit/debit card or PayPal, select the matching option from the drop down payment lists on right of the page. Click the Pay Now yellow button to complete the payment process. b) Check: If paying by check, a 50% deposit needs to be received at least 3 weeks ahead of your NW class date to save the date, with the other 50% due one week before the event. (For a Special Event by an outside clinician, full payment is due by their deadline to hold your space). If paying by check, as soon as you submit your Registration Form and your date is confirmed, you will be instructed where to mail your check. Please note in the "Any additional Info" section on the Registration Form that you are requesting to pay by check. NW REFUND POLICY: Deposits are non-refundable. Cancellations less than two weeks before a NW class are non-refundable, but payments may be applied to a future NW local class. ​SPECIAL EVENTS REFUND POLICY: Deposits are non-refundable. Cancellations within four weeks of the special event are non-refundable, but payments may be applied to a future special event. 3) CONFIRMATION of your payment and appointment from Natural Whisperings will be send via email. 4) SHOW UP for your appointment with forms in hand and that's it! You are on your way to a new fulfilling life experience! ​For all sessions at the farm, be sure to wear closed-toed shoes and layers, including a rain jacket and a hat, if you like. Please see Offerings and Events page for workshops, clinics and classes or Contact Us to schedule private appointments. All registration is now handled through online Registration Forms. 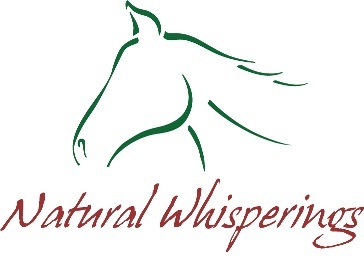 Thank you for making Natural Whisperings a part of your personal journey!